The kids will love being the center of attention on this combo unit. This unit has a large jump area with a baskeball hoop and a tunnel. 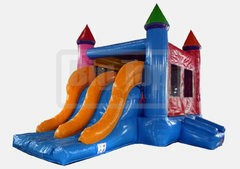 Plus there is a dual slide inside the bouncer making it a combo unit. 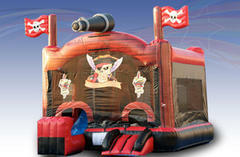 The kids will have fun in this one all day and night with many different options for play! 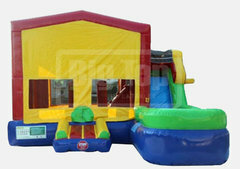 This unit includes Jumper, Basketball Hoop inside and outside!, A slide to come down.